Our Book of the Week this week shows that there's nothing to be afraid of in the dark. In fact, when the sun goes down you might find that the night-time world is every bit as fascinating as the daytime. "When the Stars come out" by Nicola Edwards and Lucy Cartwright is a thoroughly detailed and absolutely fascinating look at our world when shrouded in darkness. Beginning with a look to the stars and a guide to the constellations and other amazing things we might see in the night sky, the book goes on to encompass a wealth of subjects that aren't just all about space or the stellar skyscape, but takes a look at how we humans are affected by the darkness, and how our friends in the animal kingdom also use the night-time as well. There are many myths and legends surrounding the fall of night, and these too are examined - along with the mythical creatures that we've dreamed up in oral history and written stories, passed down from generation to generation. For us, the really amazing facts marry perfectly with gorgeous stylish illustrations to bring this fascinating subject to life. The best bits were the passages about how important sleep is, like a thorough recharge of our bodies' depleted energy levels. What an amazing book. Definitely not to be missed. Sum this book up in a sentence: A huge book filled to the brim with amazing facts and nuggets of info around the cover of darkness and the fall of night, with truly stunning illustrations lending it a real touch of class. 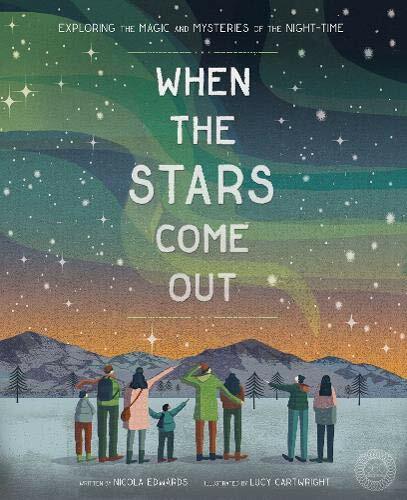 "When the Stars Come Out" by Nicola Edwards and Lucy Cartwright is out now, published by 360 Degrees Publishing (kindly supplied for review). I make no apologies for this week's slightly skewed ReadItTorial. We've just come back from 3 weeks in sunny Florida, soaking up the sun and - more importantly - visiting a place that has been on my bucket list for as long as I can remember. 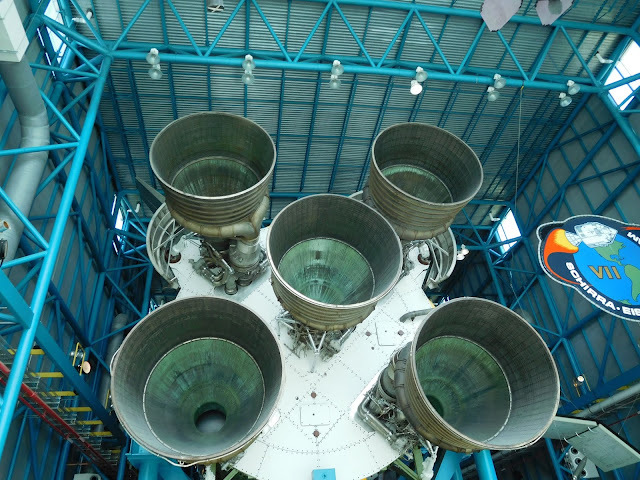 The Kennedy Space Centre is an amazing place at the best of times, but we visited a few days before the Falcon Heavy / Space X Launch, you could almost TASTE the anticipation in the air. There was a buzz going around Kennedy, a frisson of excitement that made it feel like once again the place was coming back to life after being mothballed for so long - with SpaceX and Boeing both taking part in exciting rocket projects, and with the phrase heard throughout the day definitely being "Bringing space launches back to American soil". Of course it's massively important to the USA and Kennedy to see legendary Pad 39 being put back into action. Not just from a sense of patriotism (something you can't escape when you're walking around the place, Americans sure love sticking their flag on anything, even distant astral bodies) but from a sense of opening a new chapter in our quest for space, and inspiring the many, many young kids who were (like most of us adults) walking around the place, completely agog at the rockets, capsules and of course the mighty Space Shuttle Atlantis - but also carrying the knowledge that new projects are kicking off, that space exploration is still important, still happening, and could still be a viable career path for a lucky, lucky few. Sadly for us, a few days later - the day we staked out our spot on nearby Cocoa Beach to watch the Falcon Heavy go up was also one of the windiest days of our holiday. We'd made the journey from Orlando all the way over to the coast, sat for HOURS on a burning hot beach only for the mission to be suspended (as it turned out, just for a day and we're kicking ourselves that by the time the Falcon did launch, we were a 6 hour drive away, right on the other side of Florida in Clearwater, and wouldn't have made it back in time to see the launch itself). So close...yet so far! ARGH! The US is fired up again with renewed vigour to explore the great unknown - not just because of the amazing commercial possibilities of harvesting resources from beyond our planet (and let's face it, commercial concerns now bringing life back to the space program are of course thinking about investment returns on the billions of dollars they're sinking into these enterprises) and definitely not from some ridiculous need for a "Space Force". But from a scientific point of view, here are new opportunities to showcase our amazing achievements in all branches of science and engineering, pushing the boundaries of technology way beyond anyone's expectations. Mission control we are go for launch! It was an amazing place to visit though, and it was great to see C walking around with an identical expression to my own. One of sheer awe. For me though the most inspirational and fascinating parts of visiting Kennedy were seeing the original Mercury and Gemini mission rockets and capsules, suits, technology and other artefacts which were amazingly primitive-looking, and yet were cutting edge tech for their time. Looking to the future, and despite the seemingly futile hope and dream that we might one day see manned missions to Mars, I like to think that Gene Krantz, the legendary astronaut and mission controller had it right. "Nothing's impossible. You dream it, then you do it"
For all those authors and illustrators out there working on space books, keep on doing what you're doing because it's so worth it - inspiring kids in the way you do, and it really does work! We're delighted to find that the fantastic "Ultimate Football Heroes" series finally reflects the sheer excellence of women's international and league football at long last. 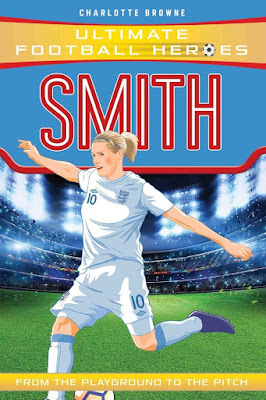 Though we're not footie fans, we most certainly know who Kelly Smith is, and Charlotte Browne's new book in this fab series charts her life and achievements perfectly. By the time Kelly Smith was nine years old, she was already so good she was running rings around the boys at her local club and scoring goals for fun. From that day, she knew she had to be twice as skillful and brave as any boy to succeed in the game she loved. 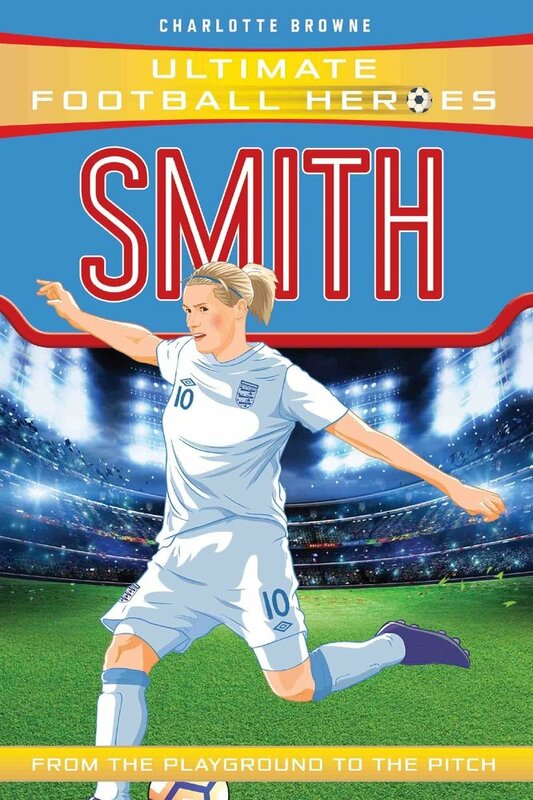 "Smith" is the story of how the girl from Watford refused to be held back, and became an Arsenal superstar and the England women's national team's top scorer. Sum this book up in a sentence: A hugely inspirational superstar, Kelly Smith's story is every single bit as interesting as any of the overpaid male football superstars. 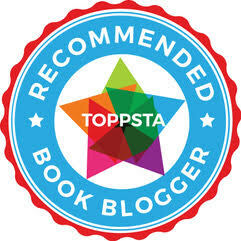 "Ultimate Football Heroes: Smith" by Charlotte Browne is out now, published by Dino Books (kindly supplied for review). Reading isn't for everyone, as completely strange and weird as that sounds. I remember my own personal reading journey only began once my junior school teacher realised the reason I took a while to take to reading wasn't because I didn't love stories and books, I just didn't love the ones they started out with in school. 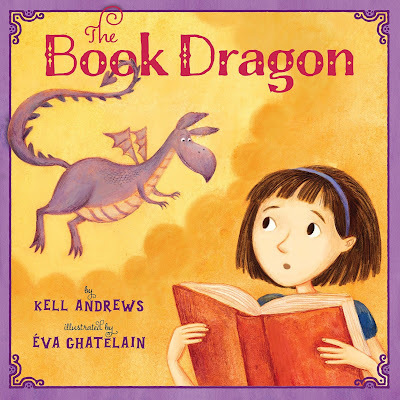 After all, who wants to read about spot the dog, or a cat sitting on a mat when you can read about "The Book Dragon" by Kell Andrews and Eva Chatelain. Rosehilda and her friends are warned to beware of the Book Dragon! She'll steal your books in the middle of the night to add to her stash. Yawn! Who would want to learn to read like this? Ugh! Gimme books! Rosehilda's home town won't allow books of any sort, thanks to the Book Dragon - and learning to read is a real slog. 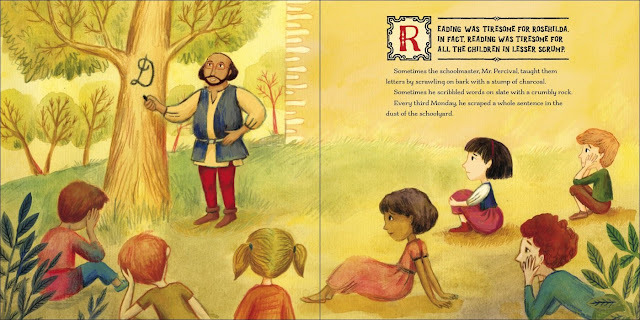 But after Brunhilda meets the Book Dragon, everything changes for good, and soon everyone can once again enjoy books and stories in the way they're meant to be enjoyed - by sharing them around! 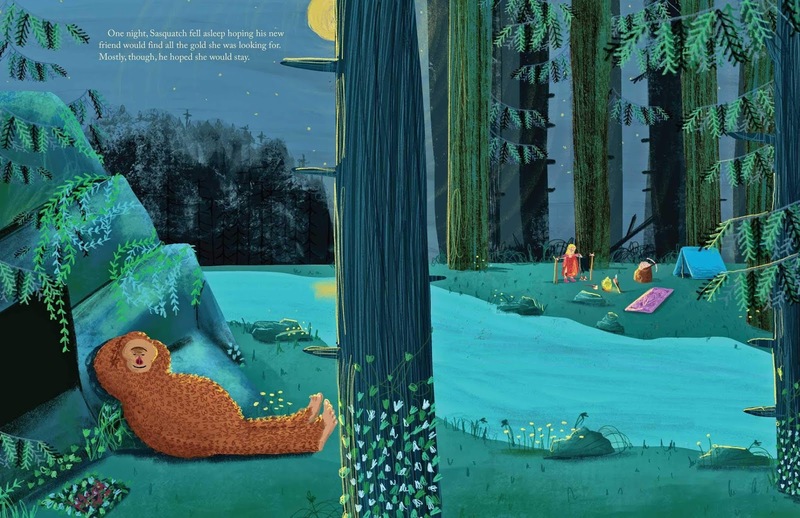 Sum this book up in a sentence: A lovely little story with glorious illustrations to celebrate a love of books, and hopefully encourage little ones to embark on their own reading journeys. "The Book Dragon" by Kell Andrews and Eva Chatelain is out now, published by Sterling Publishing (kindly supplied for review). 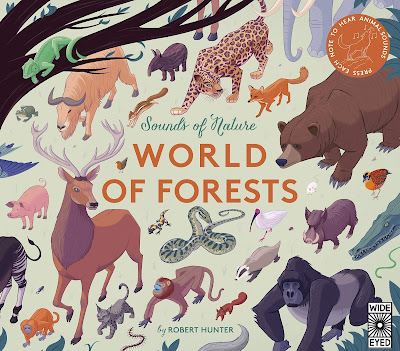 We do love a fabulous natural history book or two on this blog and "Sounds of Nature: World of Forests: by Robert Hunter is absolutely pitch perfect. For not only does this book LOOK brilliant, it also SOUNDS brilliant too thanks to some fabulous 'sound spot' technology to really bring its core subject to life. We're taking a trip across the world to many different forest habitats that are all rich in diverse plant and animal life. See the animals that live in our forests, and also hear them as they screech, squawk, tweet and roar. Evergreen forests full of badgers, deer, capercalies and wild lynxes! Wow! Listen to animals in the wild with this extraordinary sound book. Simply press the page to hear the exquisite sounds of animals around the world, from the pandas of the bamboo forest of China to the bald eagles of Tongass National Park in Alaska. What does nature look like - and sound like - in icier climates? Sum this book up in a sentence: A truly wonderful resource for little ones beginning their learning journey about our world, with fabulous sound technology to really bring the subject matter to life. "Sounds of Nature: World of Forests" by Robert Frank Hunter is out now, published by Wide Eyed Editions (kindly supplied for review). For a moment we had a little bit of book Deja Vu about this one, though there's no doubt that this is a superbly powerful story that is very timely indeed. 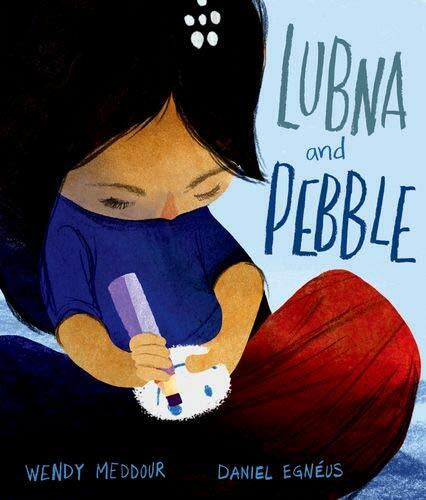 "Lubna and Pebble" by Wendy Meddour and Daniel Egneus tells the story of a little girl caught up in a crisis in her home country. Lubna retreats from the world by confiding in her best friend. Not a girl, nor a boy, but a pebble. Lubna discovered Pebble on a beach as she arrived in the dead of night along with her family and others fleeing a country destroyed by war. About her home and her own country. About the terrible fighting and the war that came closer and closer to home until her family was left with no choice but to leave. Pebble always listens to her stories and smiles when she feels afraid. But one day, when a little boy arrives, alone in a world of tents, Lubna poignantly understands that he needs Pebble even more than she does. This really reminded us of "Wisp: A Story of Hope" but with more of a child's voice, and an emphasis on how children are sometimes forced to cope with the most horrific and extreme situations by retreating into their own fantasy worlds when ours can be so hideous. Sum this book up in a sentence: A truly absorbing and emotional tale of a young refugee forced to cope with the atrocities of war in her own country, relying on a very special friendship to help ease the horror of her situation. "Lubna and Pebble" by Wendy Meddour and Daniel Egneus is out now, published by OUP / Oxford Children's Books (kindly supplied for review). No apologies from us for once again featuring these glorious cloth-bound Studio Press books in our Book of the Week slot. 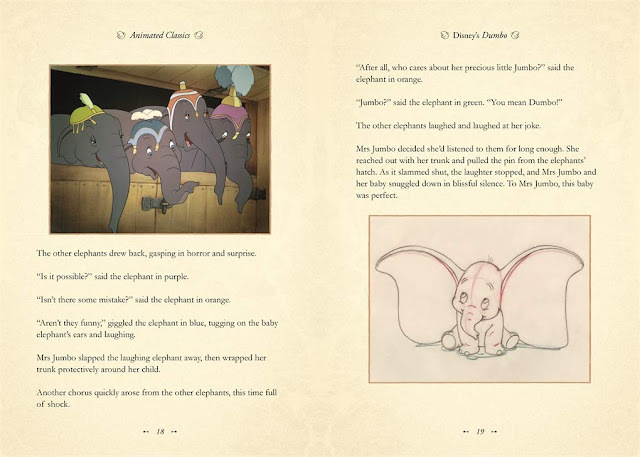 If you're getting excited about the new live-action Dumbo movie from Disney Studios, take a moment to revisit the classic animated movie instead, with another truly beautiful storified version of the movie with that utterly glorious production art and animation stills illustrating the story throughout. The story of a young elephant with a difference - born into a circus, but separated from his mother (in a scene that still reduces me to tears even after all these years), Dumbo soon realises his huge flappy ears mean that he can do something that no other elephant can. He can fly, he can fly, he can fly! This highly collectable book once again extends Studio Press's impressive range of books chronicling the processes and sketches that led to the final movie. 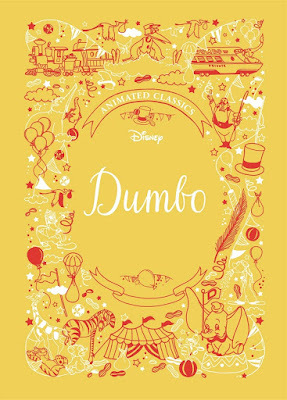 As we said before, this is nigh on essential for Disney fans, but also fans of animation and art as the illustrations in this are just absolutely gorgeous. I mean take a look at them! Special delivery! One large-eared ele-baby! I love the way these feel like classic storybooks I had as a kid. Don't listen to 'em Dumbo, you're special!! It's also great to hear that more are on the way in this fab range, including Aladdin, which should be out in the blink of a Genie's eye! YESSSS! Can't wait! 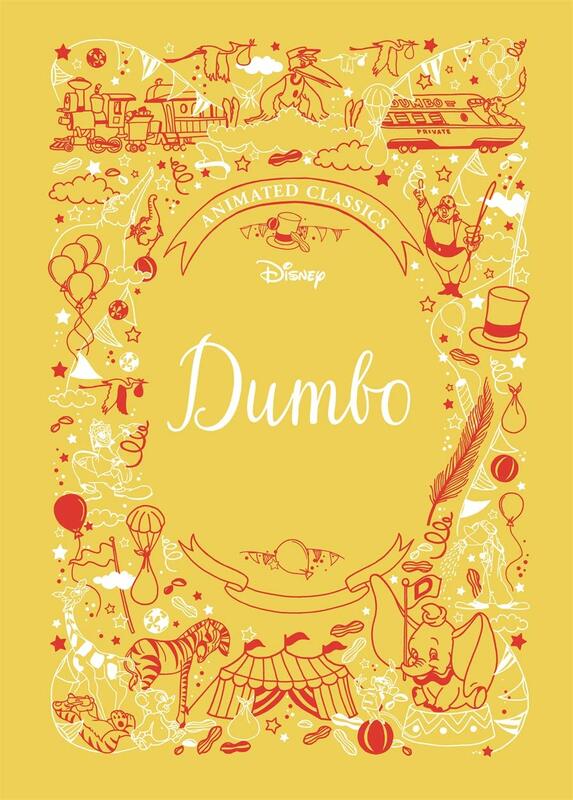 Sum this book up in a sentence: You'll believe an elephant can fly with this superb collectable edition of one of Disney's best-loved classics. Our Picture Book of the Week once again reminds us that it won't be long till we have yet another utterly stunning piece of work from Studio Laika, the animation studio who consistently knocks it out of the park with their truly brilliant movies. "Missing Link" will be out soon, but before then we have a wonderful picture book prologue to the story you'll see in the movie. "A Smile for Sasquatch" by Steven Marten and Aaron Cushley introduces us to Mr Link, the big fuzzy cuddly Sasquatch that features in the upcoming film. 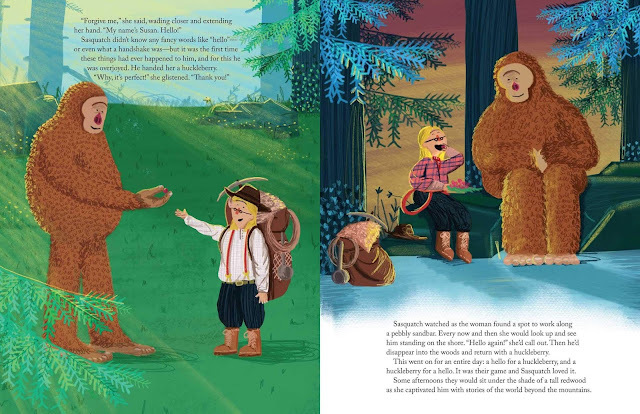 Experience the heartwarming journey of Bigfoot . . . better known as Mr. Link, a sensitive soul in search of companionship. This beautifully illustrated original storybook expands on the events of the film with an entertaining new tale of Mr. Link's life. 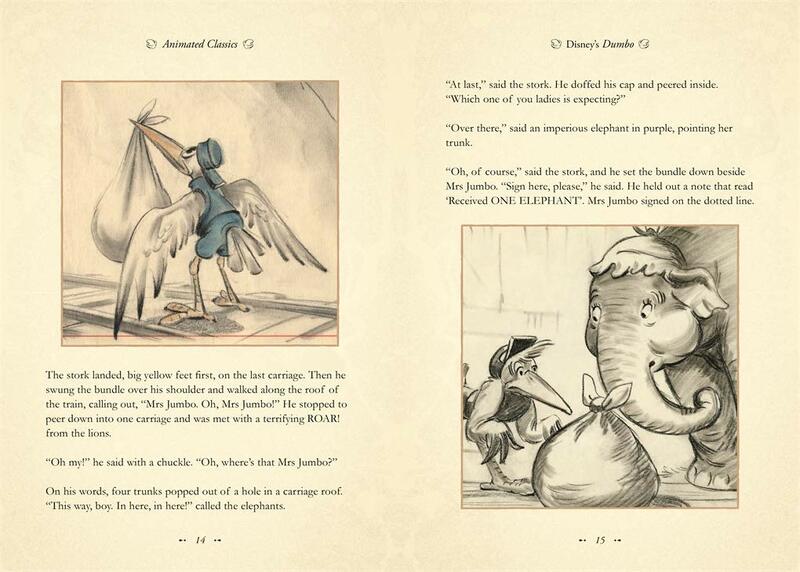 Readers of all ages will love to learn more about this beloved character from the movie. Making new friends isn't easy when you're a sasquatch who lives in the middle of the lonely forest. We loved how this gentle story works in tandem with what you can expect to see in the film, but works too as a standalone story of loneliness, friendship, being 'different' and eventually loving the skin you're in. Steven's story is beautiful and heartwarming, and Aaron's illustrations are just superb! Sum this book up in a sentence: Full of warmth, charm and character, this is a beautiful book prologue before the superb looking movie arrives! 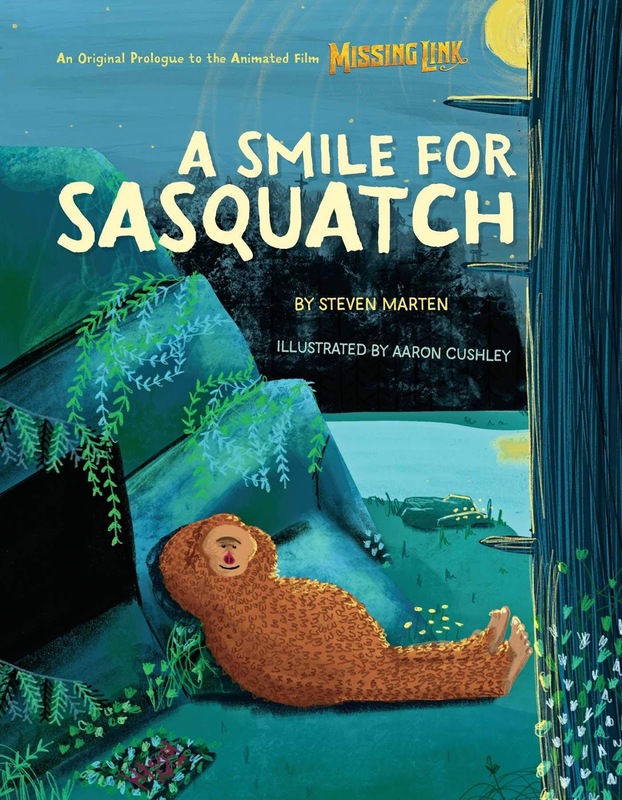 "A Smile for Sasquatch" by Steven Marten and Aaron Cushley is out now, published by Insight Kids (kindly supplied for review). The old saying goes "Manners maketh the man" but what of the dragon? These noble beasts have impeccable manners but just like humans, their tiddly toddlers aren't always able to maintain their politeness or good behaviour. "When a Dragon Comes to Stay" by Caryl Hart and Rosalind Beardshaw humorously examines what it would be like to host a sleepover for a scaly mythical beast. Will the littlest dragon behave herself? Why, of course she will. Obviously she knows she must share her toys, eat daintily and skip happily upstairs at bathtime. Well . . . not quite. Like all toddlers, this little dragon finds good manners a tiny bit tricky. It's lucky she has some friends to help her. A great little story for tiny book fans who love dragons and brushing up their etiquette! 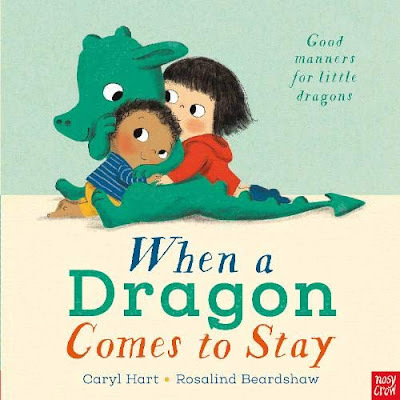 "When a Dragon Comes to Stay" by Caryl Hart and Rosalind Beardshaw is out now, published by Nosy Crow (very kindly supplied for review). Ever hated your hair? Folk with curly hair (including my wife and daughter) usually have a fight on their hands to tease, tame and get their hair into shape - and probably get quite a bit grumpy when anyone compliments them on their naturally curly hair. It curls in the front. It curls in the back. It curls everywhere! Mira always wants to look like other girls who have poker-straight hair, or just like her mum's. But then something unpredictable happens . 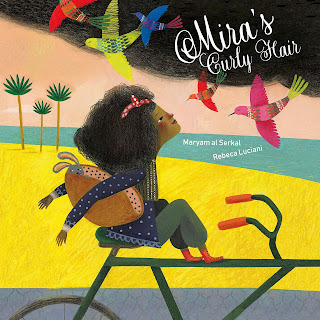 . . and Mira will never look at her mama's hair the same way again - and might just grow to love her gloriously curly locks after all. There definitely seems to be a bit of a theme with children's books and curly hair going on. With this one though there's a neat twist in this (no pun intended for a book about curly hair) but also a heartfelt story about what it takes to sometimes become happy with your own unique features and attributes. Sum this book up in a sentence: Another fab diverse book from Lantana dealing with issues of self-acceptance, image and what it takes to become happy in your own skin. "Mira's Curly Hair" by Maryam Al Serkal and Rebeca Luciani is out now, published by Lantana (kindly supplied for review).